SAN FRANCISCO (MarketWatch) — Gold settled at a record and silver rallied 2.4% Monday as inflation fears kept investors attracted to precious metals, which were also helped by a weaker dollar. Gold for June delivery added $5.30, or 0.4%, to end at $1,509.10 an ounce on the Comex division of the New York Mercantile Exchange. Earlier, it hit an intraday record of $1,519.20 an ounce. That was gold’s sixth consecutive high-water mark and its eighth straight day of gains. May silver rallied $1.09, or 2.4%, to $47.149 an ounce. It had traded as high as $49.82 an ounce. 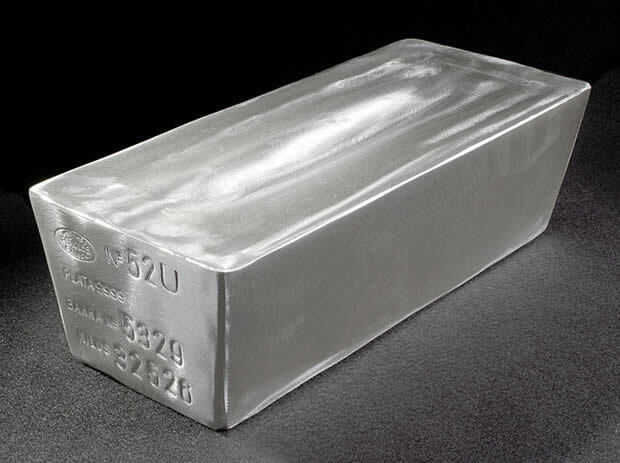 The thinly traded, front-month April contract settled at $47.151 an ounce, near the nominal record for spot silver. Silver prices flirt with $50 Tatyana Shumsky explains why silver is flirting with $50 an ounce, a level not seen since 1980 and near the precious metal's all-time high. Plus, Brett Arends on why he thinks the silver market has gone nuts. Back in January 1980, spot silver hit an intraday high of $50.35 an ounce and settled at a record $48.70 an ounce. Investors booked some profits in both metals Monday, said Bart Melek with TD Securities in Toronto. For silver, “the trajectory might be too steep,” bringing to some investors’ minds an asset bubble, Melek added. However, silver’s gains could continue, he said. In addition to its rally alongside gold on worries about inflation and currency debasement, silver also faces supply shortages amid more investment and industrial demand, Melek said. Additional gains in silver may be limited, said Adam Klopfenstein, a senior market strategist with Lind-Waldock in Chicago. “The fundamentals still point to higher prices, but I just think we got a little bit ahead of ourselves,” he said. Silver is unlikely to rise much beyond $55 an ounce, he added. It has become a trader’s market and thus much more volatile, he said. Precious metals and other commodities got an extra lift from the dollar, which continued to fall Monday. The U.S. dollar index -.00% , which measures the U.S. unit against a basket of six other currencies, fell to 74.098 from 74.126 in late North American trading Thursday. Read more about currencies. Markets were closed on Good Friday. May copper -2.24% retreated 10 cents, or 2.2%, to $4.30 a pound. Sister metals platinum and palladium diverged, with platinum for July delivery +0.38% advancing $7.40, or 0.4%, to $1,828.10 an ounce. June palladium -0.69% retreated $8.25, or 1.1%, to $760.80 an ounce. This week will likely be dominated by expectations for the U.S. Federal Reserve’s monetary-policy decision and an unprecedented press conference by Chairman Ben Bernanke, who is expected to hint at what, if anything, will replace the bond-buying program known as the second round of quantitative easing. Traders will also get a look Thursday at first-quarter U.S. gross domestic product. Meanwhile, news reports in China said Beijing is considering the setup of an investment fund targeting sectors such as energy and precious metals, as well as a special fund geared toward foreign-exchange stabilization. The reports said the People’s Bank of China has raised the idea of the foreign-exchange stabilization fund and that it was now under study by relevant authorities, according to media reports. The fund would be structured to intervene in the foreign-exchange market and buy foreign-currency notes without the government having to print new yuan-denominated currency notes, the report said. The reports said the central bank’s balance sheet would also be extended to support investment in precious metals and other commodities. Precious-metals prices were also reacting to heightened uncertainty in the Middle East, following reports Monday of a NATO air strike that damaged buildings in Col. Moammar Gadhafi’s compound in the Libyan capital and anti-government protests Sunday in Yemen.